The Kinglake Football/Netball Club provides a unique opportunity to engage the ever growing and wide ranging Kinglake community. The KFNC is one of the few community organisations that regularly attract large crowds of people from across the more than 30kms of Kinglake Ranges. As the primary sporting organisation in the area, sponsorship of the KFNC provides access to a large cross-section of the community and is always attracting new members as well as visitors. Sponsorship of the KFNC is a very cost efficient and rewarding way to reach the community whilst also enhancing corporate image. Sponsorship also provides broad exposure to the very popular Yarra Valley area via the AFL – Outer Eastern Football Netball League official game day record and local media texts. The nine home games also attract a large amount of visitors and members from opposing clubs. We hope you will consider one of our sponsorship options presented over the next few pages, as it is your support that enables our Club to survive. The Kinglake Football Netball Club (KFNC) was formed in 1925 with a strong contingent of local players being the catalyst behind the club’s first senior premiership in 1939. 2018 saw the Kinglake Football Netball Club reach its first ever A-Grade grand final. Unfortunately the girls fell just 1 goal short of premiership glory but the effort from all the girls was exceptional. This season’s result on top of a C-Grade premiership in season 2017 see’s our netball department in the strongest position it’s seen during its short history and with our fantastic coaches continuing in season 2019 we are confident that greater success lies ahead on the netball court. Planning for the 2019 football season is in full swing and this next couple of seasons are an extremely important time for our club as we work to make the Kinglake Football Netball Club a strong sustainable club for many years to come. Our club has always had difficulties in transitioning young local talent into our Senior club. For many years we’ve seen some great young Kinglake kids reach high school and start playing sport outside of Kinglake, whether this has come about through a lack of junior teams, performance of the Senior teams or just wanting to play with high school friends it’s time to make sure our young kids of Kinglake want to represent Kinglake. Moving into season 2019, we believe our club has a great opportunity to make this happen and build this club into a strong club that will consist of fantastic home grown talent that will hold our club in a great position for many years to come. 2018 saw our Senior football side play 17 players under the age of 23, now in 2019 we will also see our junior club in a position of great strength unlike we’ve had before with multiple sides including under 16’s. Given this we believe great value must be placed into developing our young Senior players to allow them to reach their full potential and to keep them at our club and have our young local talent coming through the Junior ranks wanting to join the Senior sides as they make the transition from Juniors to Seniors. This will give the club its greatest chance of becoming a strong sustainable club for many years to come. To make this a possibility we have started the process of putting in place a quality leadership group with some great experience. To start with we are delighted to announce our new Senior playing coach for 2019 is Andrew “Spider” Fairchild. Spider is a 4 time Northern Football League premiership player (3 with Whittlesea and 1 Greensborough) in 2015 he was the Whittlesea premiership captain. The 250+ senior game player is also a best and fairest winner, multiple club leading goal kicker including 100 goals in a premiership year. (2013).He is also a multiple NFL team of the year member and represented the NFL team in 2016. Spider has gained 3 years’ experience as the Whittlesea senior assistant coach and is very excited about the young talented list Kinglake currently have and the young talent that we’re hoping will move into the club in the coming years. support. 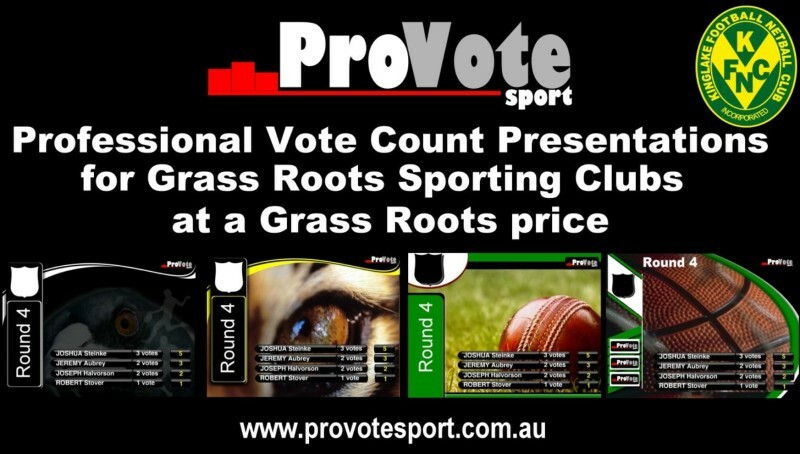 With rising costs in all areas of the club including league fees, umpire costs, training equipment, coaching/development staff and utility costs. Now more than ever if we are to develop this club into the strong club on and off the field/court we all hope it can be, we need the whole community to get behind and support the Kinglake Football Netball Club. If we do all work together we believe there will be great success and enjoyment ahead for everyone throughout the community. To all of our great 2018 sponsors we thank-you for your generosity throughout the year. The club will be delivering appreciation certificates over the next few weeks and we do look forward to thanking you in person. Attached is the sponsorship packages for season 2019. Please take a look and as we do our rounds in the coming weeks we hope that you will allow us to speak with you regarding your continued support for the upcoming season. 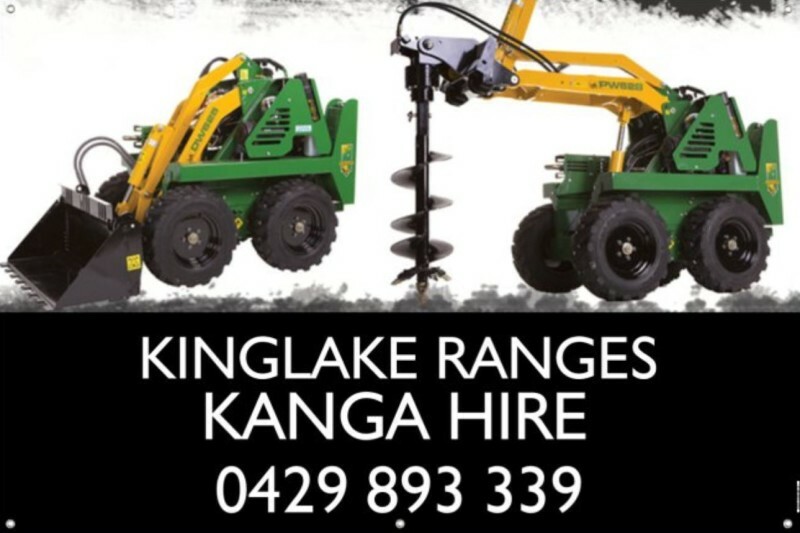 Why Sponsor the Kinglake Football Netball Club? directly to club members and families and the wider community. Your sponsorship will be associated with a family club that is community based. – The opportunity of your company to network and build business relationship with other club sponsors. – Assist in meeting our financial commitments to the AFL Outer Eastern Football Netball League in season 2019. – Assist us in providing a comfortable and enjoyable environment for all players, members, supporters, families and the wider community. – Provide improved support of the current teams associated with KFNC and the volunteers who provide their time to support the club. – Assist us to develop and strive to be a competitive force in the AFL Outer Eastern Football Netball League. We invite you to consider which of the following packages could suit you and your business and we would greatly appreciate the opportunity to meet with you and see how we can better promote your business and its needs. If we work together, we can benefit together. The following sponsorship packages are just a guide and can be mixed and matched to suit different businesses requirements. We appreciate you taking the time to consider sponsoring the KFNC for the 2018 season and beyond. 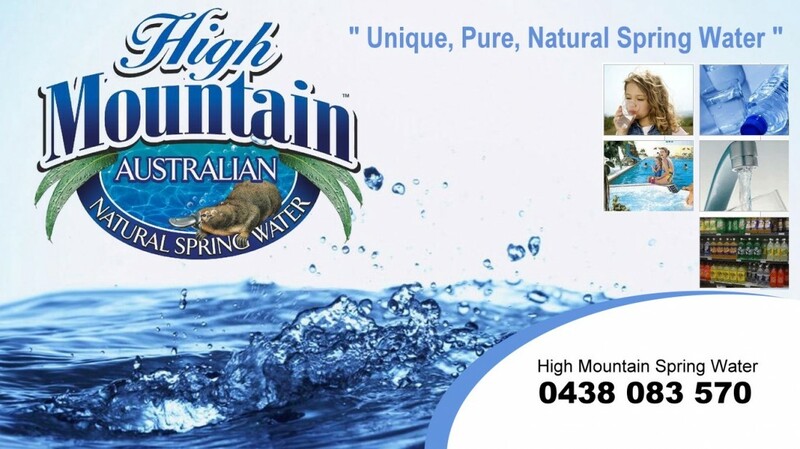 - Sponsor recognition on the sponsor page of the Kinglake Football/Netball Clubs official website. - Slide on KFNC in house electronic slideshow. 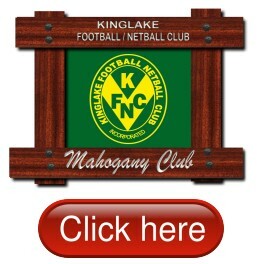 - Adult Kinglake Netball Football Club membership (includes entry to all Home games). - Invitation to half time Supper & refreshments at Home Games. 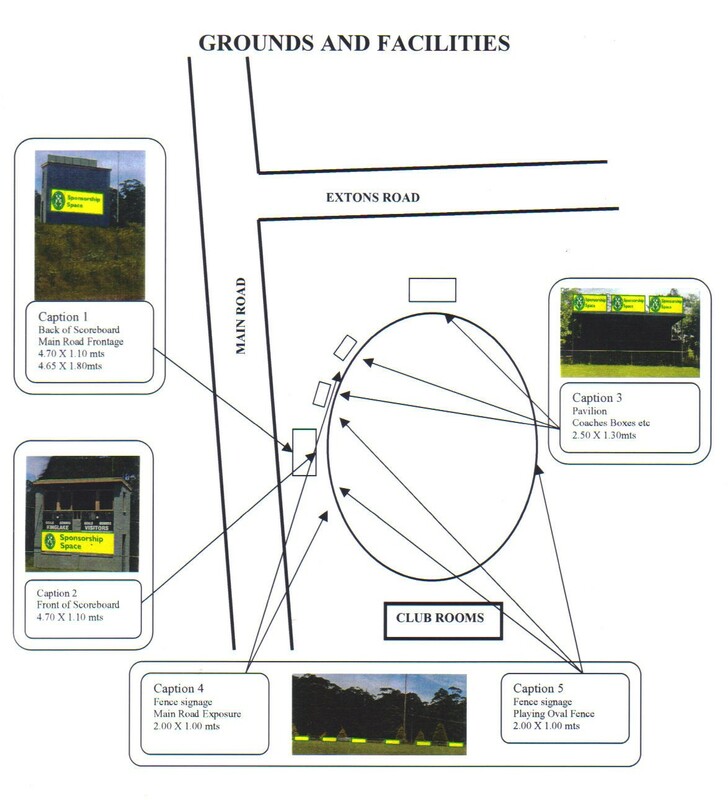 As a Ground Signage Sponsor of the Kinglake Football Netball Club you will receive the following benefits for the entire season. - Company Fence signage for the year (See caption 5 in signage map below). 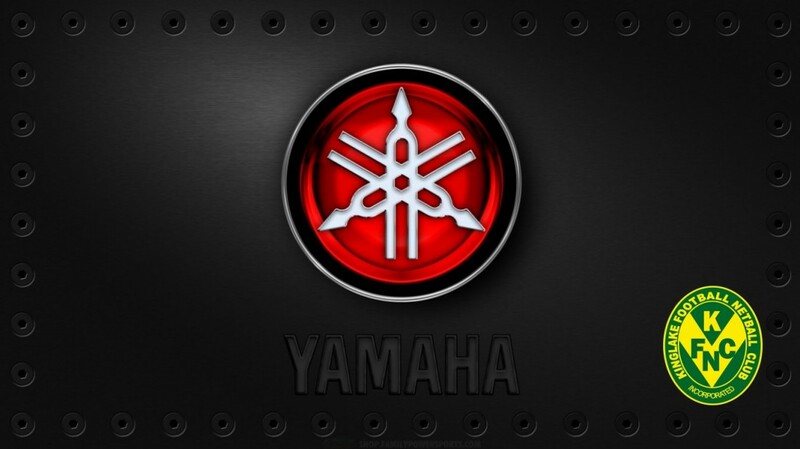 - Social Media advertising including our new website. - Advertising on KFNC in house electronic slideshow. - 1 membership ticket which includes entry into every home game for the season. - 1 Club polo Shirt. - 1 seats at the Sponsors Day luncheon at a home game throughout the year. As a long term Ground Signage Sponsor of the Kinglake Football Netball Club you will receive the following benefits for the entire season. - Sponsor recognition in the AFL Outer Eastern Game day record. 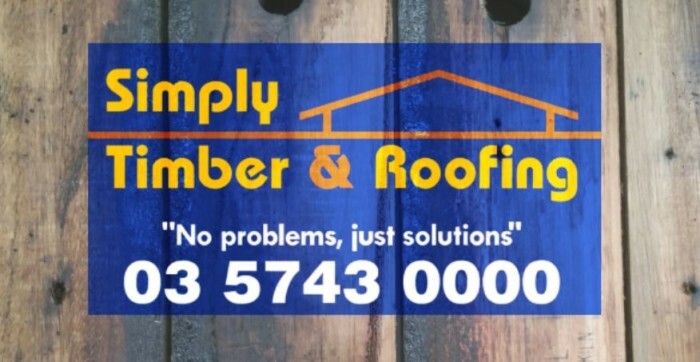 As a Bronze Sponsor of the Kinglake Football Netball Club you will receive the following benefits for the entire season. - 2 membership ticket which includes entry into every home game for the season. - 2 Club polo Shirt. As a Silver Sponsor of the Kinglake Football Netball Club you will receive the following benefits for the entire season. - 2 membership tickets which include entry into every home game for the season. - 2 Club polo Shirts. - 2 seats at the Sponsors Day luncheon at a home game throughout the year. 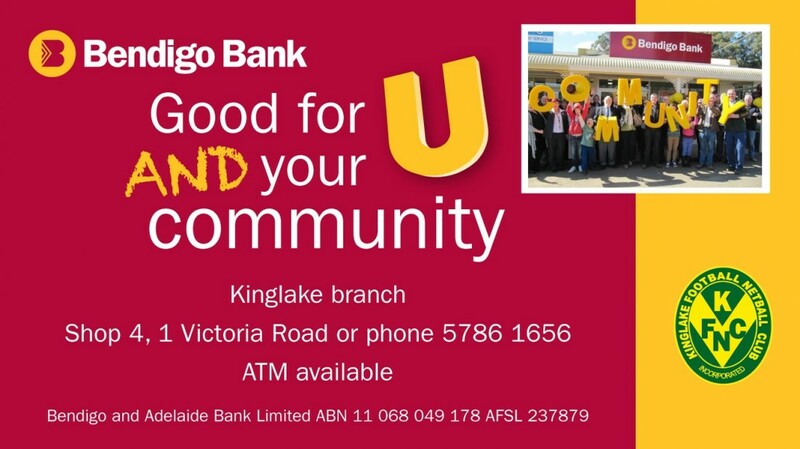 As a gold sponsor of the Kinglake Football Netball Club you will receive the following benefits for the entire season. As the main sponsor of the Kinglake Football Netball Club you will receive the following benefits for the entire season. - 4 Club polo Shirts. - Table of 4 at the Sponsors Day luncheon at a home game throughout the year. - 4 tickets to the end of the season Ball / Presentation night. Please do not hesitate to speak to us so we can get the best possible result for you and your business.